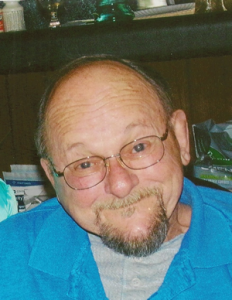 Weston “Wes” V. Wilbur Jr.
Weston “Wes” V. Wilbur Jr. 70, a life-long resident of Keene died on Wednesday, January 23, 2019. He passed peacefully in the comfort of his home. Weston was born the son of the late Percy (Garon) and Weston V. Wilbur Sr. on September 15, 1948 in Keene. He was educated locally where he attended Keene schools. 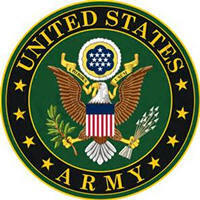 On April 4, 1968 he enlisted in the United States Army. He served as an aviation mechanic in Vietnam during the Vietnam War. He was the recipient of the National Service Defense Medal, Vietnam Service Medal, Vietnam Campaign Medal with 60 Device, Meritorious Unit Commendation, Army Commendation Medal Mid-Level Award and the Good Conduct Medal. Wes was honorably discharged at the rank of SP5 – E5 on March 25, 1970. In his younger years Wes enjoyed playing the drums, guitar and listening to music. He was also associated the band “Strawberry Alarm Clock” He would sing and play instruments with his children giving them everlasting memories. Mr. Wilbur is survived by his three children; James S. Wilbur of Keene Lori A. Wilbur-Hicks and her husband, David of Keene and Weston V. Wilbur III of Troy. His brother, Earl Wilbur of Keene. Eight grandchildren, Seven great grandchildren. In addition, he leaves; cousins, nieces, nephews, extended family and friends. Wes is pre-deceased by his brothers, James Wilbur and Ronald Merchant. Calling hours will be held on Sunday, February 3, 2019 from 2 to 4pm. A celebration of life service will occur on Monday, February 4, 2019 at 10am. all in the funeral chapel. Burial will follow in the family lot with military honors at Monadnock View Cemetery, Park Ave. Keene, NH. 03431. Flowers will gladly be accepted. However, the family would prefer donations be made in memory of Weston V. Wilbur Jr. to: Monadnock Humane Society, 101 West Swanzey Rd. Swanzey, NH. 03446 or to: Friendly Bus, 312 Marlboro St. Keene, NH. 03431. All services are under the care of Cheshire Family Funeral Chapel and Crematories, 44 Maple Ave. Keene, NH. 01341.